The MIRACUM consortium invited the public to its kick-off symposium on 22 and 23 February at the Faculty of Medicine in Erlangen. The goal of MIRACUM, a consortium coordinated by the Chair of Medical Informatics at FAU, is to improve the way patient data can be used for research and patient care. MIRACUM is one of four consortia to have received funding of a total of 120 million euros from the Federal Ministry of Education and Research (BMBF) until 2021. On 22 and 23 February, MIRACUM celebrated its official kick-off with a symposium at the Faculty of Medicine in Erlangen and was even able to present some initial results – a preliminary analysis has shown that while a new and more gentle treatment option for stroke patients is being used more often as a whole, there are variations between the individual medical facilities. The MIRACUM consortium (Medical Informatics in Research and Care in University Medicine) is being funded as of 2018 with a grant of 32.1 million euros as part of the Medical Informatics Initiative (MI-I) of the Federal Ministry of Education and Research (BMBF). MIRACUM is made up of eight universities with university hospitals, two universities of applied sciences and one partner from industry. The goal of MIRACUM is to merge the wide range of data clusters from medical care and research in data integration centres so that this data can be used centrally using innovative IT systems for research projects and to make specific treatment decisions. Some of the examples of information from hospitals that MIRACUM links together include clinical findings, medical imaging and genetic and molecular testing enabling pulmonary diseases or brain tumours to be assigned more accurately to various subgroups, thereby facilitating more targeted and more effective treatments for patients. allowing researchers to analyse their first clinical problem. They investigated to what extent a new treatment option called thrombectomy has already been used on stroke patients. Thrombectomy is a relatively gentle procedure used to remove blood clots. Using around three million decentralised and anonymised hospital cases from the eight hospitals in the consortium, researchers were able to prove that the number of thrombectomies carried out on stroke patients between 2014 and 2016 almost doubled, from an average of 4.7 to 9.6 percent. At the same time, the frequency the MIRACUM hospitals were using the new treatment differed. In 2016, it varied between 5.8 and 17 percent at the eight hospitals. ‘This is just the first step that the MIRACUM consortium was able to implement in the concept phase by using invoicing data (based on diagnoses and procedures)’, explains Prof. Dr. Ulli Prokosch, who is the coordinator for the MIRACUM consortium in Erlangen. ‘Over the next four years, we intend setting up data integration centres at the soon to be ten or eleven MIRACUM locations. These centres will be used to integrate the large amount of clinical data and image data documented in healthcare as well as research data from, for example, genomic and molecular high-throughput analyses and, at the same time, harmonize the data across locations and make it available for more detailed analysis. Ultimately, we are establishing IT infrastructures that provide researchers with a range of tools for various analyses, contributing to advances in medical knowledge. In terms of consistently implementing S3 guidelines, these results could be crucial for improving patient care at all locations’, adds Prof. Dr. Schüttler. MIRACUM is the largest consortium of the Medical Informatics Initiative to receive funding and is expected to expand even further. The next step involves adding university hospital locations that have not yet received funding to the consortia. The Federal Ministry of Education and Research is providing another 30 million euros of funding for this purpose. MIRACUM is currently coordinating with the university hospitals at Dresden, Greifswald and Lübeck. If approved by the international committee of experts, MIRACUM would then already cover a third of all university hospitals in Germany. 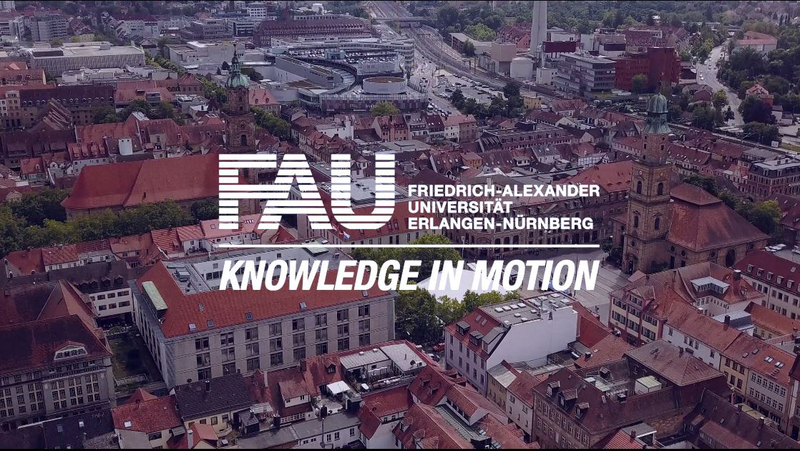 During the kick-off symposium on 22 and 23 February at the Faculty of Medicine in Erlangen, the consortium presented its initial project results as well as the MIRACUM concept to the public. It also presented the three defined application scenarios with which MIRACUM hopes to demonstrate the value of joint data usage – patient recruitment in clinical trials, prediction models for asthma/COPD patients, and brain tumours and precision medicine in tumour therapies using molecular tumour boards. In addition, speakers from Columbia University New York, the Memorial Sloan Kettering Cancer Center in New York, the NIH in Washington, the Human Brain Project, the Academic Medical Center of the University of Amsterdam, the German Cancer Research Centre in Heidelberg, the Institute for Medical Informatics at Graz University and the HL7 standardisation organisation all contributed their international knowledge to the event.